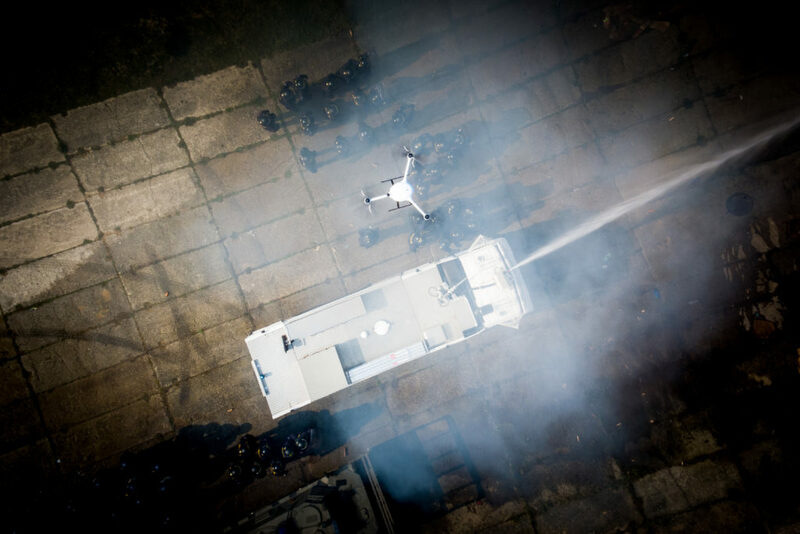 Our client Drony SITMP used Flydeo Y6 during international police forces training (more than 500 participants) in Zbiroh, Czech republic. Their mission was to provide air support – Full HD live video transmission to the mobile command vehicle and parallel online live streams for commandants of separate units. 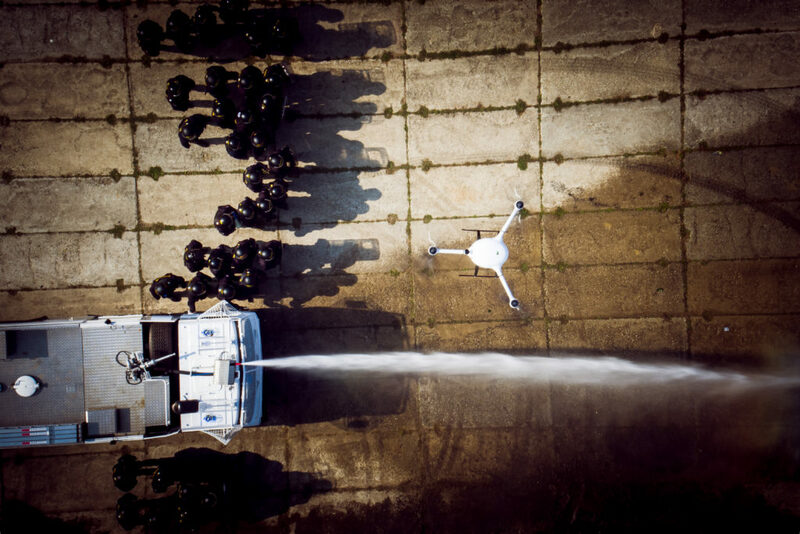 Flydeo Y6 was equipped with two stabilized cameras (30x optical zoom camera + FLIR Tau 2 thermal camera), Amimon Connex video downlink and rescue parachute system. Even with this payload Flydeo Y6 provided 45+ minutes flight times. Pilots of SITMP said that interesting experience was the use of thermal camera while the entire area was shrouded in smoke. Optical camera was literally useless in that moment, however switching to thermal camera ensured maintaining an overview of the area. What we are most excited about is the statement of the German police – they said they would like to have a drone like that! 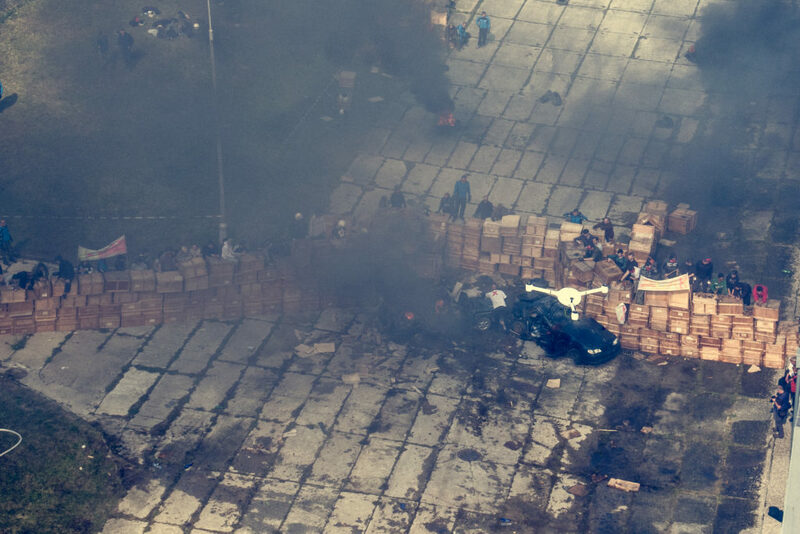 Safety and longer flight times are really important factors when using drones during law enforcement activities. 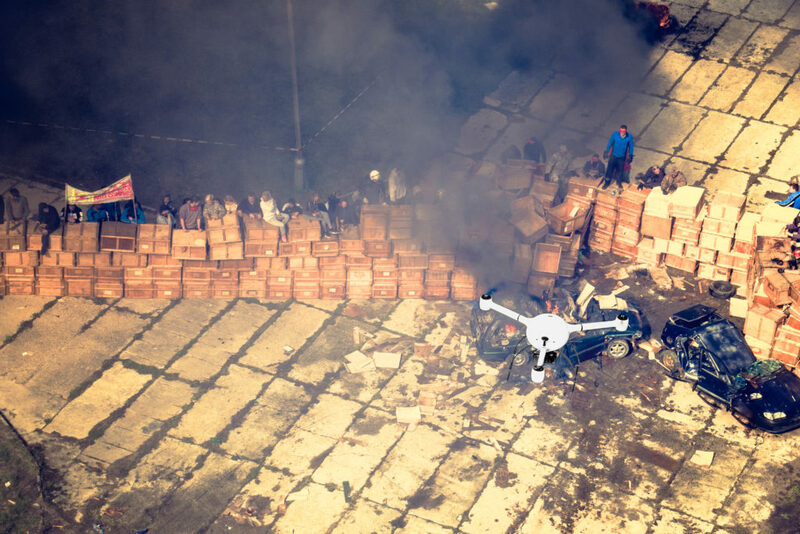 We are glad that SITMP decided to use Flydeo Y6 in this case.